Forward-looking: Lack of innovation had been one of the smartphone industry’s most significant issues, but modern times have seen some big ideas come to handsets. Notches, hole-punch cameras, and folding phones have changed the way we think about designs, and ZTE has some ideas about where we go from here. Notebook Italia posted renders of the Axon S concept. It uses a sliding mechanism like the one found in the Mi Mix 3, but unlike that handset, the slider moves horizontally out of the side instead of vertically from the top. Keeping the front-facing cameras hidden away like this means there’s no need for notches or anything else that invades a display, allowing for a near 100 percent screen to body ratio. The slider features five cameras—three rear facing and two selfie cams. The rear camera setup sounds impressive, consisting of a 48MP camera, a 19MP sensor, and a third lens that comes with 5x optical zoom. One of the cameras will have an adjustable aperture of f/1.7-2.4, while another uses an aperture of f/3.8. The Axon S is also said to support 5G and has a fingerprint reader embedded into its OLED panel. No word on a possible price or release date, assuming it ever gets one. 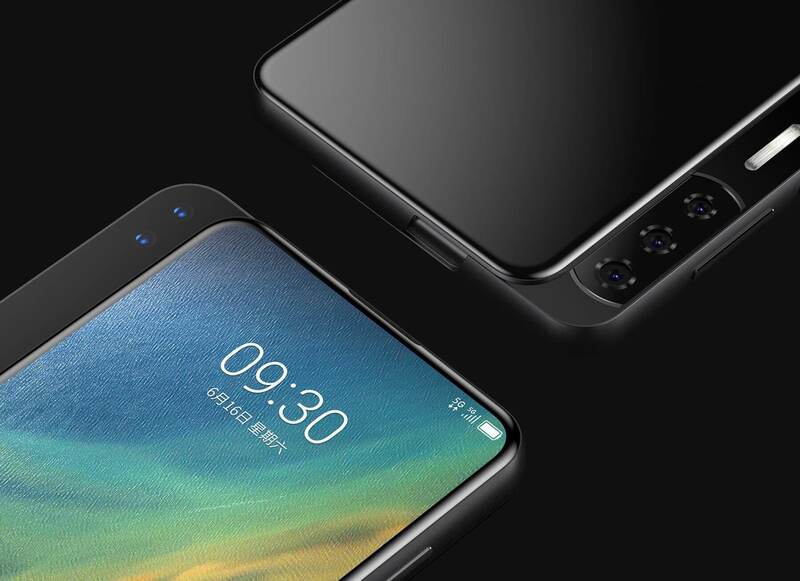 In addition to the Axon S, another concept phone to come from ZTE is the Axon V. It forgoes any type of notch by placing a front-facing 3D camera on a separate section of the phone that juts out of the top right-hand side. The rear cameras, meanwhile, are placed in a standard position on the back of the device. The Axon V is pretty large even without that extra piece of frame. Its display measures 6.8 inches and uses the 21:9 format, “which improves the content display experience on the single screen as well as enhancing the handheld feeling through the longer body length,” according to the IF World Design Guide listing. Again, we don’t know whether the Axon S will ever move beyond the concept stage, or how much consumers will take to its design.